We believe that much of life is not black or white. We see ourselves as both saints and sinners. We hold fast to the spirit of the Law and the promises of the Gospel. We worship using a liturgy that emphasizes Word and Sacrament. We identify as living in the world, but not being of the world. we see it as grace, God’s amazing grace. a future in relationship with God. or if not here, then in another worshipping community. 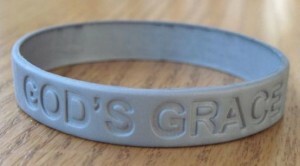 God’s grace is in the gray!